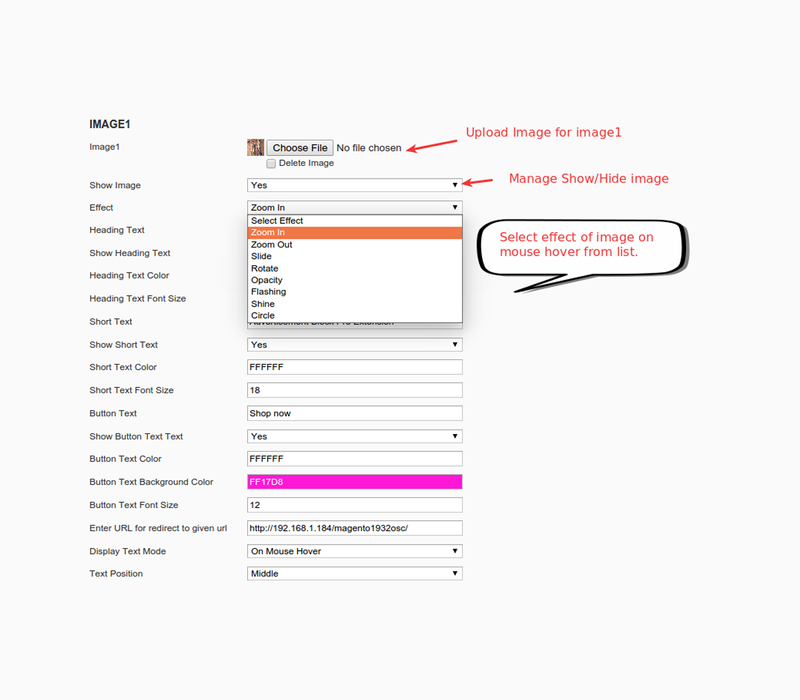 Manage image,heading text , short text and button in advertisement block. 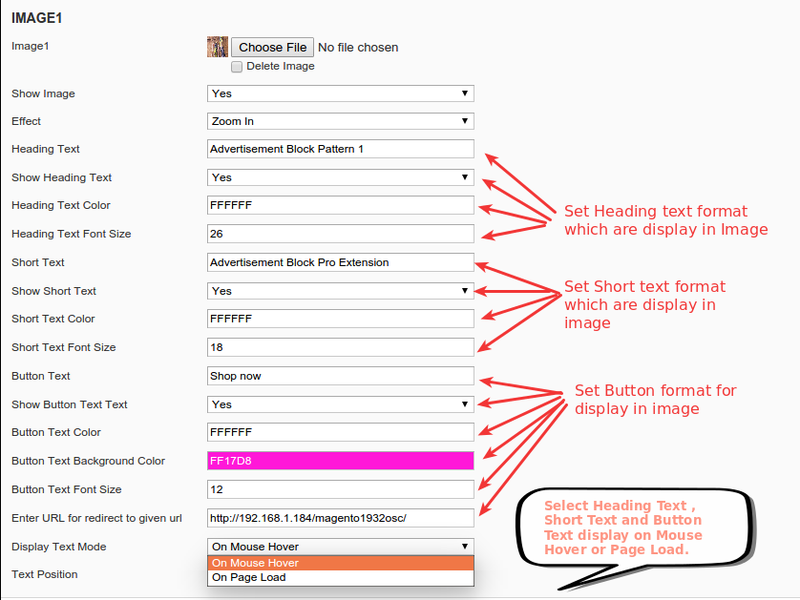 It also provides input for write advertisement contents. 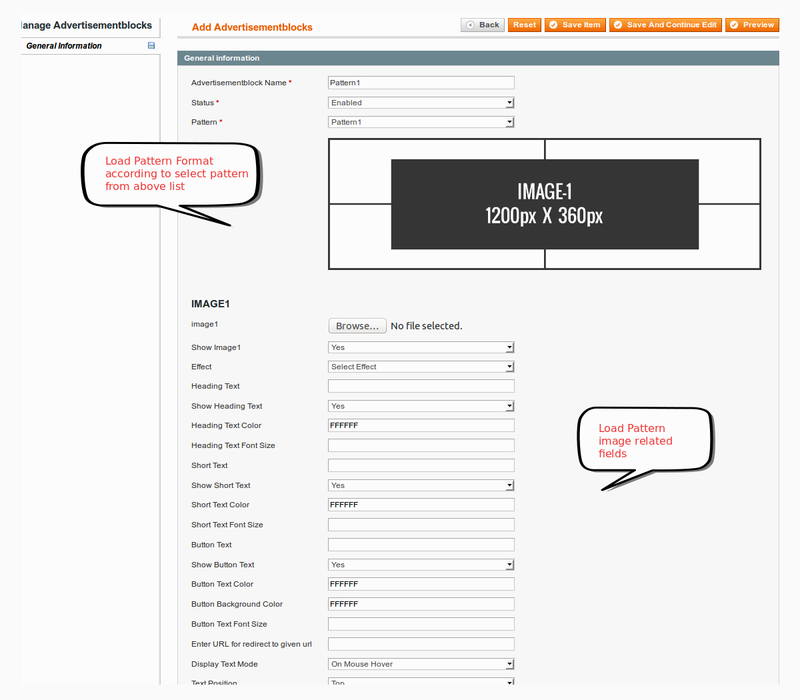 Provide easiest way to display Advertisement. 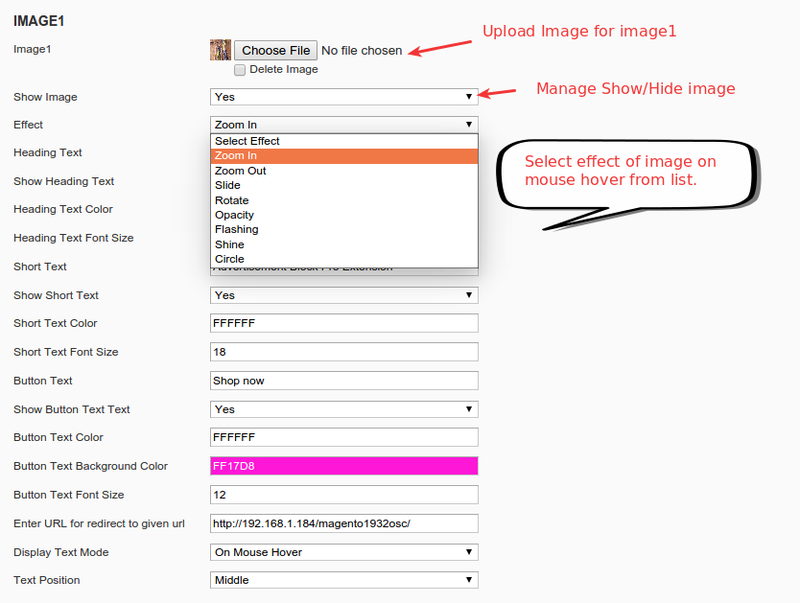 Provides all options for manage Advertisement and it's Images. Provides Amazing 26 pattern format for design advertisement. 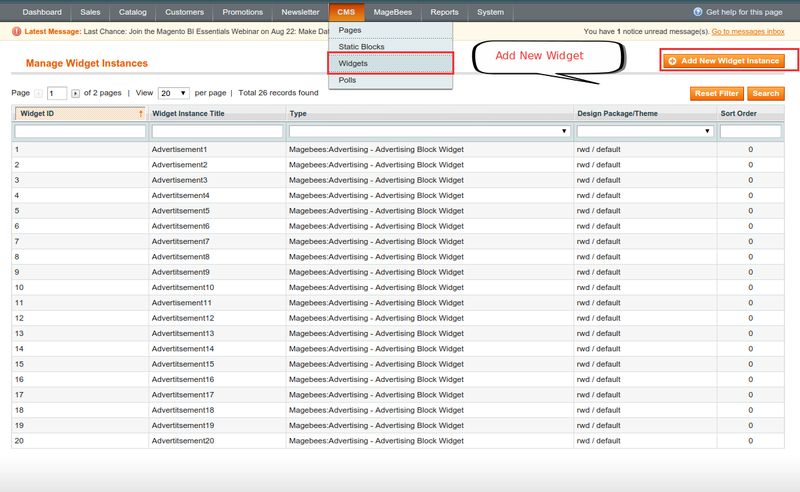 Advertisement display in fronted using widget so choose page and area of page according to requirements. Provide options for advertisement image effect. 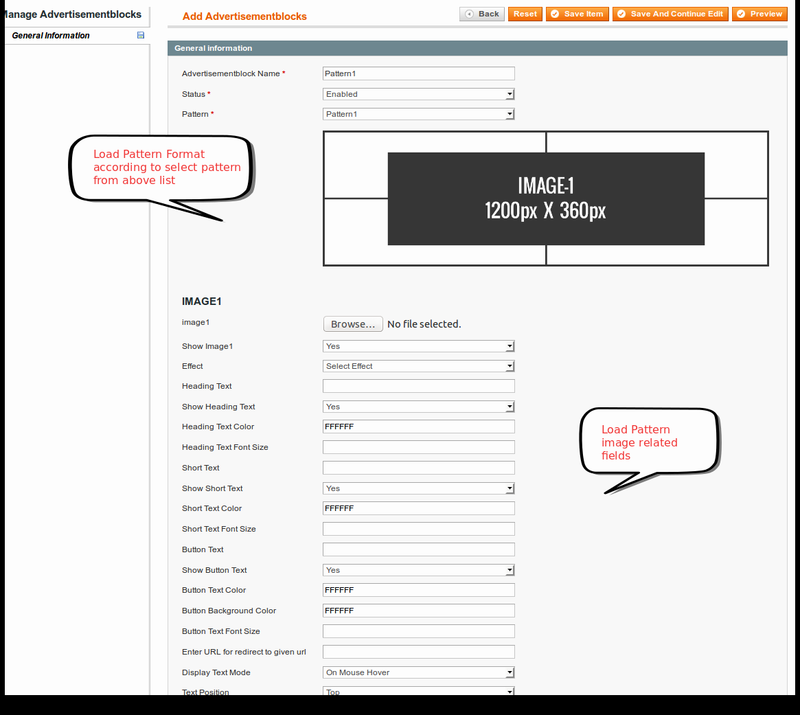 Manage area of advertisement Hading Text , Short Text and Button. This extension also use for design fronted page. 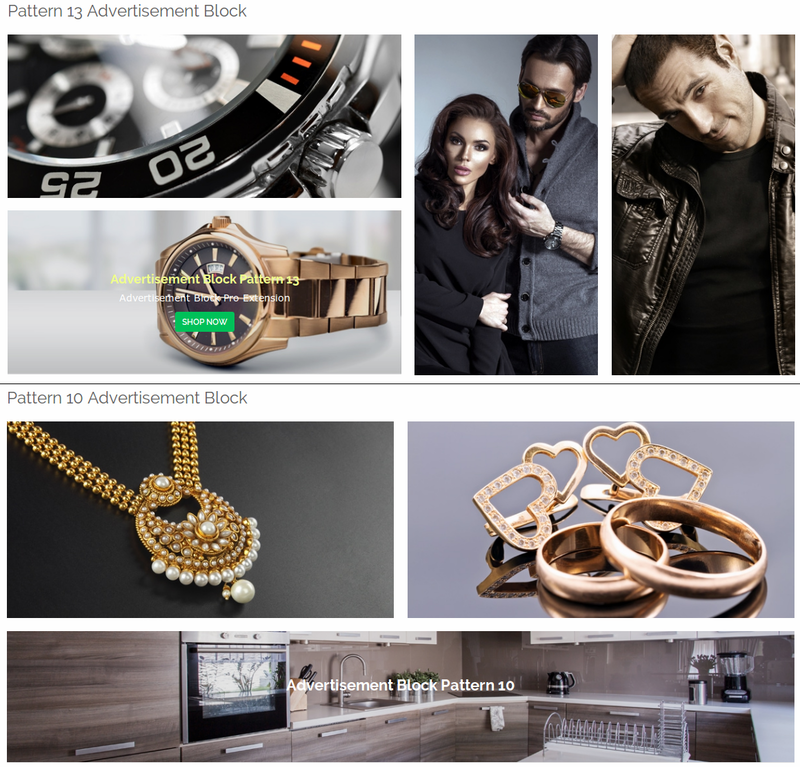 Advertisement block pro extension provides easy and convenient way to display advertisements in 26 different patterns. 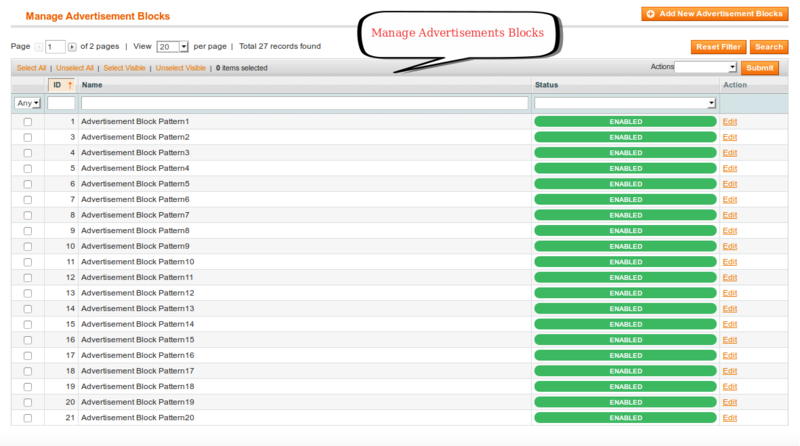 Advertisement Block Pro extension provides 26 format and related field for manage advertisement block. When Select Pattern Load Fields Which is Related to Pattern. 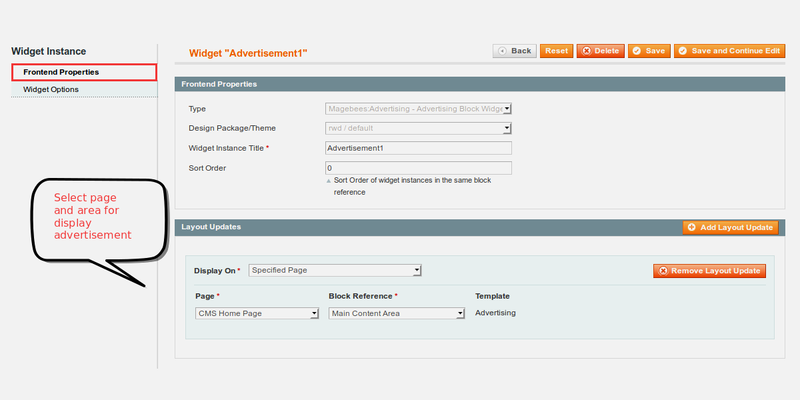 Create Advertisement Widget for Display Advertisement Block into Fronted. 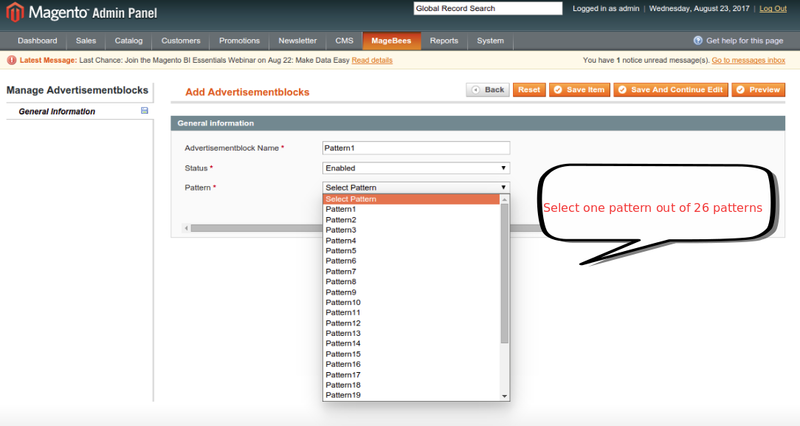 Select Page and Area of Advertisement Block and Select Advertisement. Good extension for putting up ad banners on the website. So many patterns and templates to choose from! I am deeply satisfied with the extension. Good support from MageBees team. I had a few issues with the installation of the extension but they helped me out and ensured that the process was stress-free. 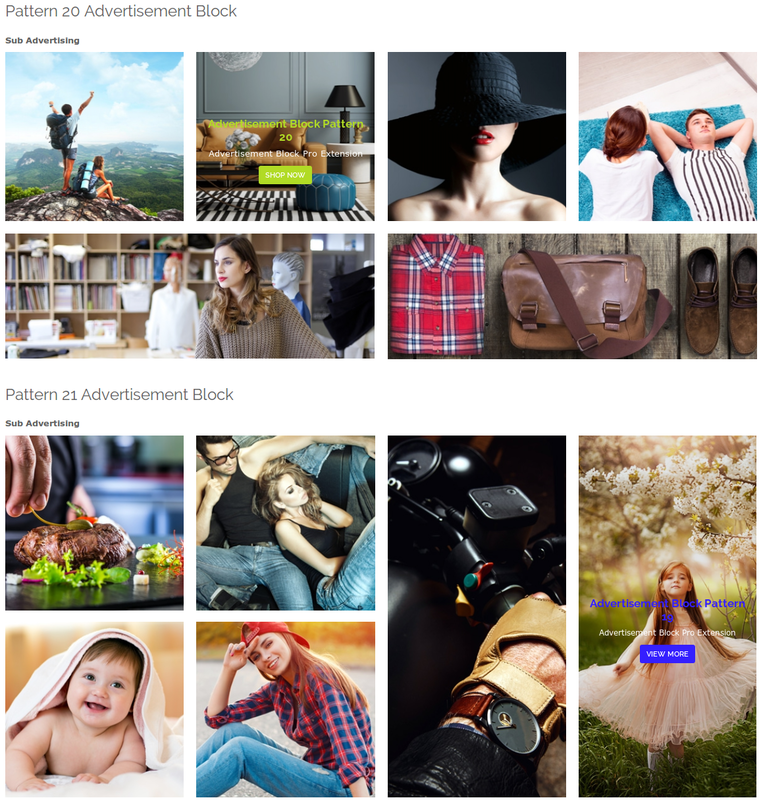 I needed an extension to create advertisement blocks on my website. And, one of my developers suggested me MageBees. I talked to the support team and discussed my concerns. They were really supportive. I bought the extension and installed it quickly. No issues there. The features and patterns of the banners are very compatible with my Magento theme. Just bought the extension. 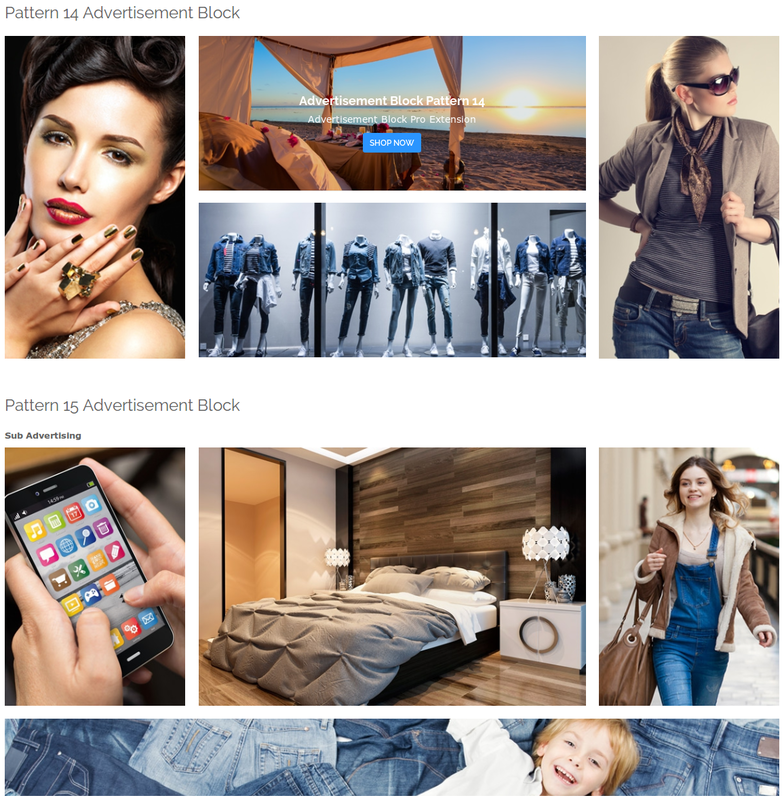 Very good for creating multiple advertisement banners on the website. Highly satisfied. This is one of the best Magento extensions! Perfect for putting up different ad blocks on the website. So many formats and patterns to choose! This extension make my site advertisement attractive , Very useful and provides many patterns for design advertisement. Good Support. 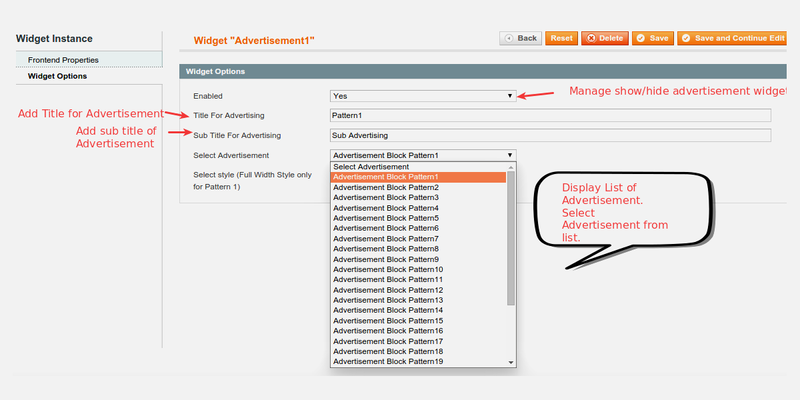 (1) I configure Advertisement Block Pro Extension. 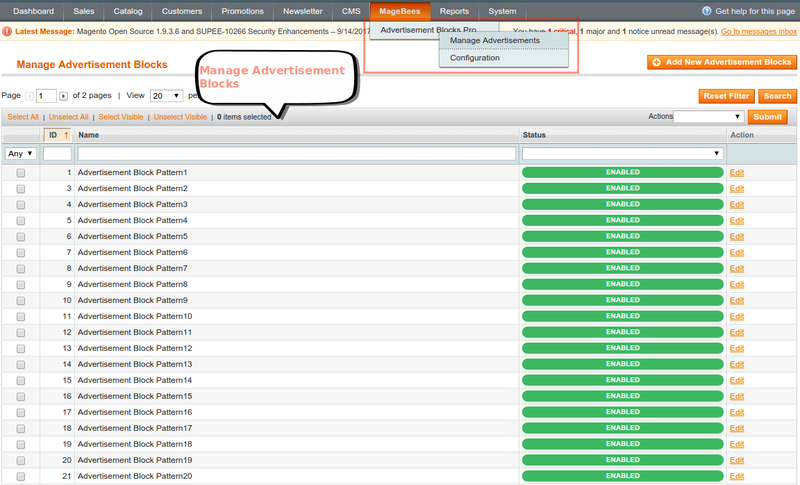 But when I click on MageBees -> Advertisement Block Pro -> Configuration page will get a 404. :(.